Robyn Lewis, our LOL/OMG SXSW correspondent is a girl who is somehow always at the right place at the right time. Case in point: she randomly ran into Lady Gaga at the Turf Club last year. 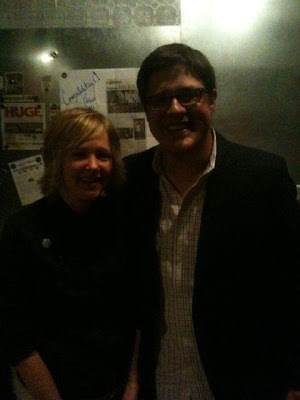 This time, Robyn ran into actor/comedian Rich Sommer, aka Harry Crane, head of media at Mad Men's Sterling Cooper Draper Pryce advertising agency. Rich is from Stillwater and went to Concordia! Mad Men reps MN hard.